As a little girl, watching Disney Princess movies had to be one of the highlights of my childhood and now being a mother of two little girls, I'm glad I get to see them enjoy my childhood movies just as much as I did. When I saw that Sleeping Beauty was going to be on Blu-ray, I got super excited. My daughter has never actually seen the movie before. She knows who Aurora is, she had her nursery and toddler room be all Disney Princesses until she changed it to a tween room. It's always nice to watch my favorite Disney classics with my kids. I love seeing how they react to the movies. Watching Sleeping Beauty on Blu-ray with the family last weekend was great. I loved how bright and bold the quality of the blu-ray was. It looks ten times as better as the one I have my old VHS. 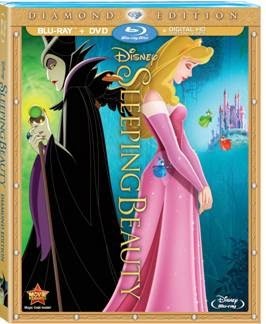 Any family that are fans of Sleeping Beauty will love and appreciate this Diamond Edition movie that's now out and available in stores! Disclosure: All opinions are my own. I received Sleeping Beauty Diamond Edition at no cost for the purpose of this review. No other compensation was received. Gifts For Men This Christmas!